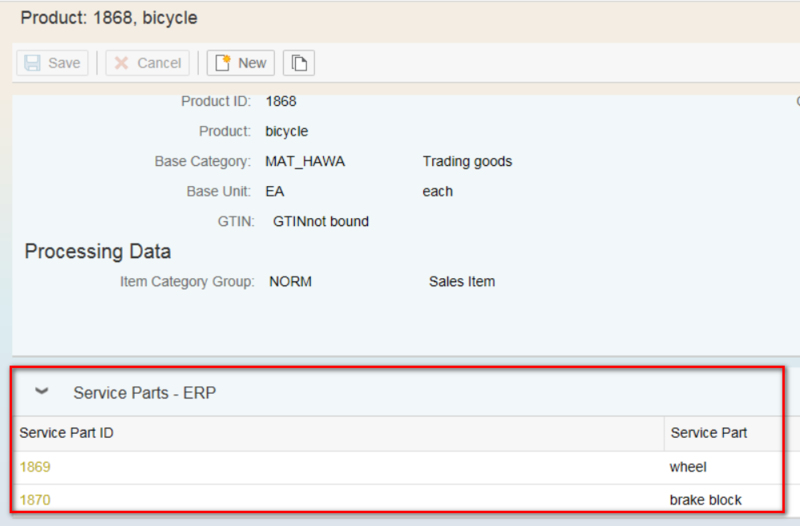 How to download BOM from ERP to CRM – relationship STRSET or BOMITM? After I perform request download via this request, in WebUI I found that the assignment block “Components” is still empty. The reason is the dependent material 1469 is not downloaded to CRM yet. 4. 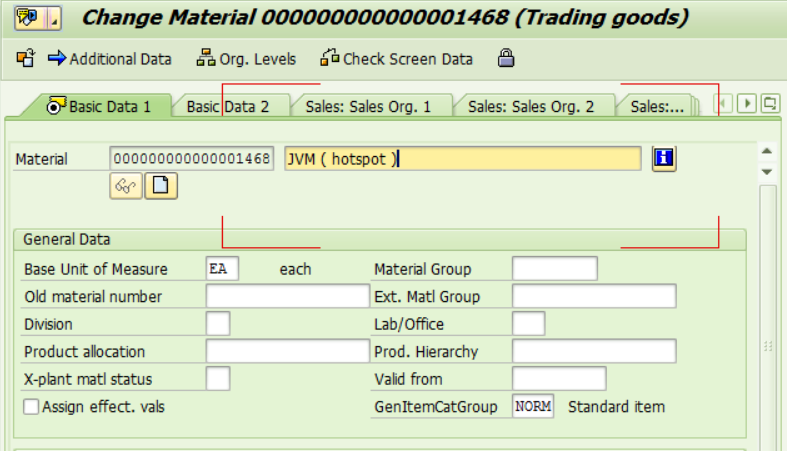 Then I first download material 1469 to CRM, and then I perform request download again via the request created in step 3. 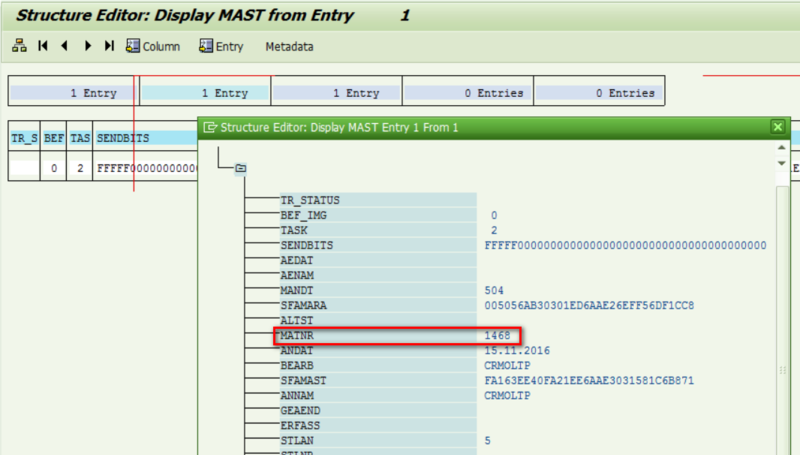 After that in tcode SMW01 I can see necessary data for BOM structure, the relationship STRSET, is successfully downloaded. 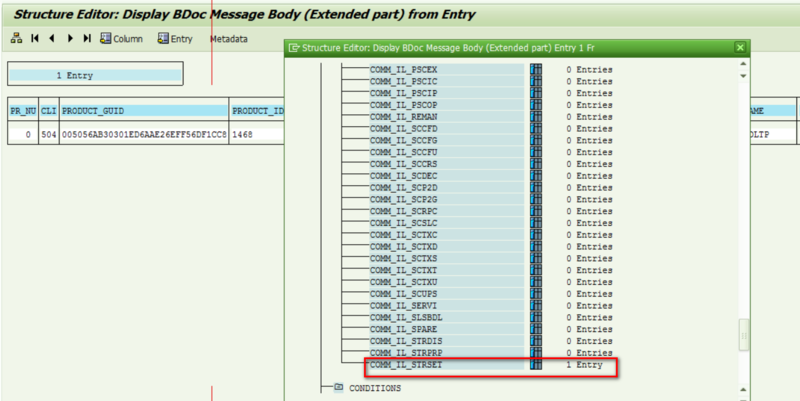 Now go back to WebUI, I can see the expected component structure as displayed below. However, in another set of CRM and ERP system, once the same operation has been done, we will not get BOM downloaded as relationship STRSET, but BOMITM instead. 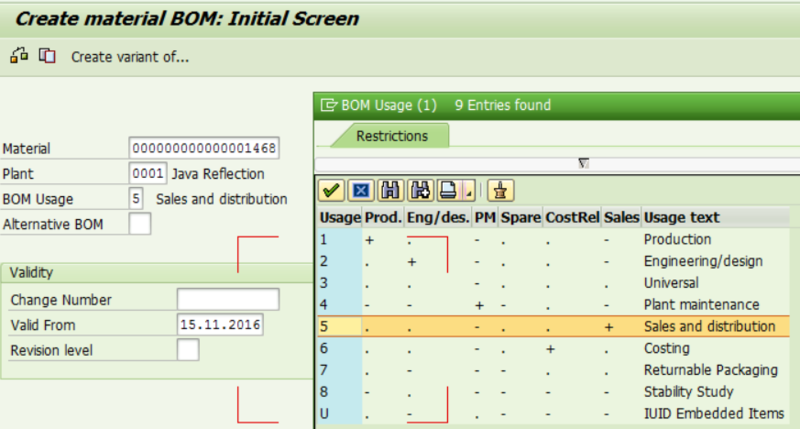 Let’s name the system so far discussed above where STRSET is generated as ERP system A and CRM system A, and the system mentioned in discussion below as ERP system B and CRM system B, where BOMITM is generated. 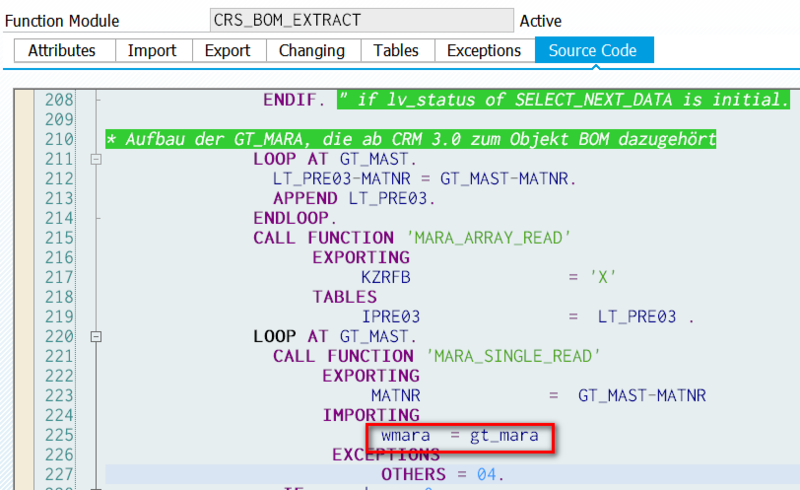 For CRM system A, in ERP system A,function module CRS_BOM_EXTRACT will fill data to MARA table so in CRM, the inbound processing will go into first IF branch. 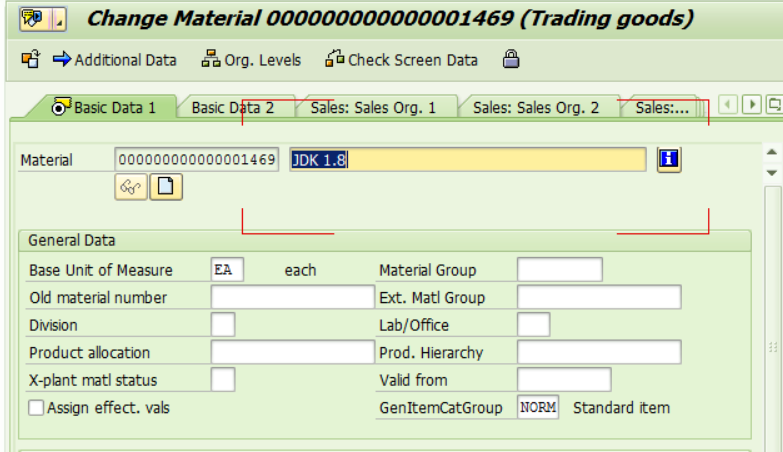 And for CRM system B, the function module CRS_BOM_ERP_EXTRACT is executed in ERP system B, where MARA table is not filled, so finally in CRM system B, the inbound process goes to ESLE branch to generate data into BOMITM instead.